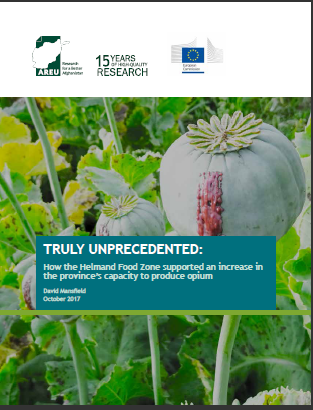 The goal of the Helmand Food Zone (HFZ) was to bring about a rapid and significant reduction in opium poppy cultivation. It was funded directly by the UK and US governments to the tune of between US$12 and $18 million per year between the autumn of 2008 and 2012. 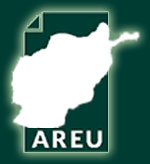 The program ran alongside a massive increase in the number of international and Afghan military forces fighting in Helmand and increases in the amount of development assistance known as “the surge.” Over the course of the HFZ and the surge the North Atlantic Treaty Organization (NATO) helped the Government of the Islamic Republic of Afghanistan (GIRoA) extend its writ across central Helmand; security bases were placed “on every junction,” access to government services including health and education improved substantially, and the level of opium poppy cultivation fell dramatically from 103,590 hectares in 2008 to 63,307 hectares in 2011. But where do things stand now, five years since the end of the HFZ and three years after the withdrawal of foreign military forces from Helmand? This report draws on in-depth fieldwork and high-resolution imagery between 2008 and 2017 to reveal how unsustainable the HFZ and the surge have proven.